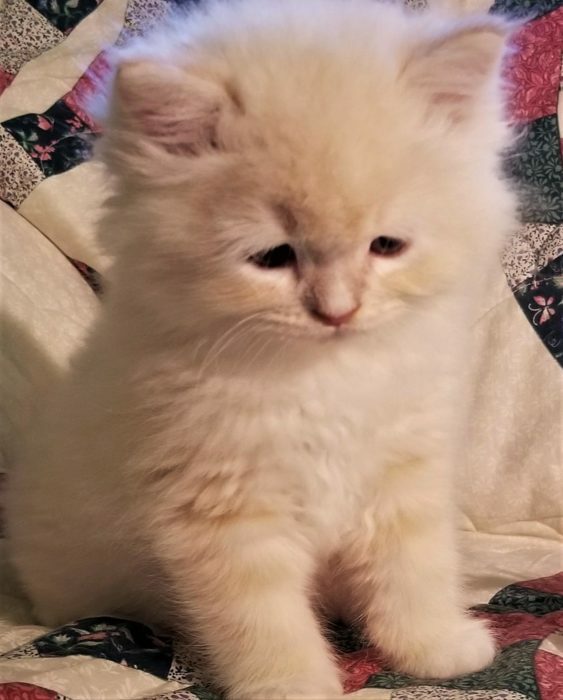 Please scroll down to see our kittens! Such a beautiful loving litter! If sold as a pet he will be neutered before he leaves us! 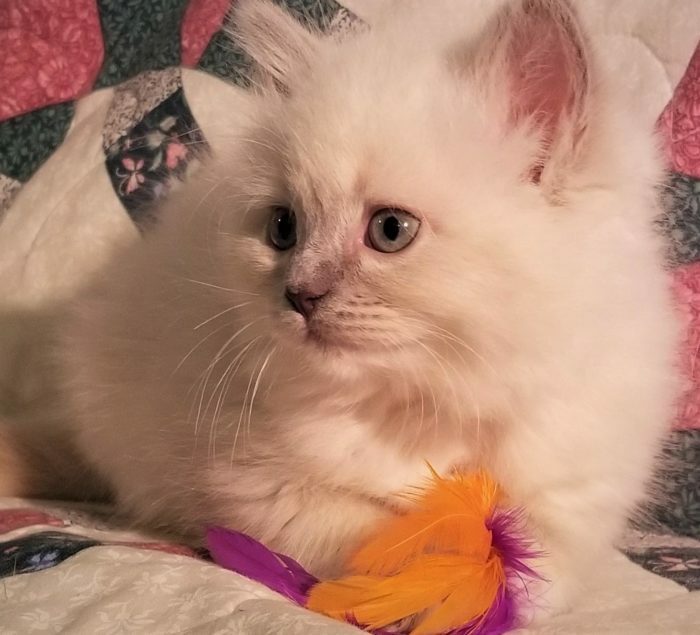 Available for his new home now! He is such a sweet floppy kitten! If sold as a pet she will be neutered before she leaves us! They are just so Lovable!! 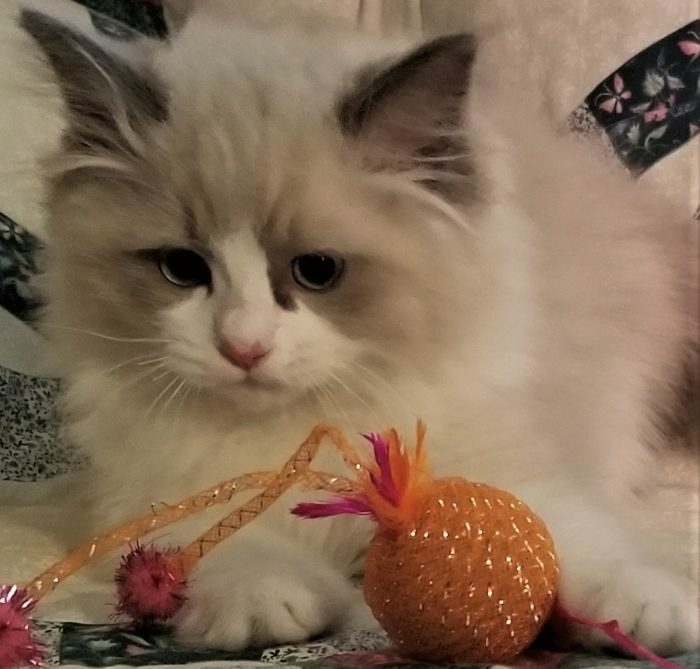 Reserve your beautiful Ragdoll Kitten Today!! Our kittens are socialized on a daily basis with other cats, and children. In our home environment they are part of our family — we do this so they will fit perfectly into your home! 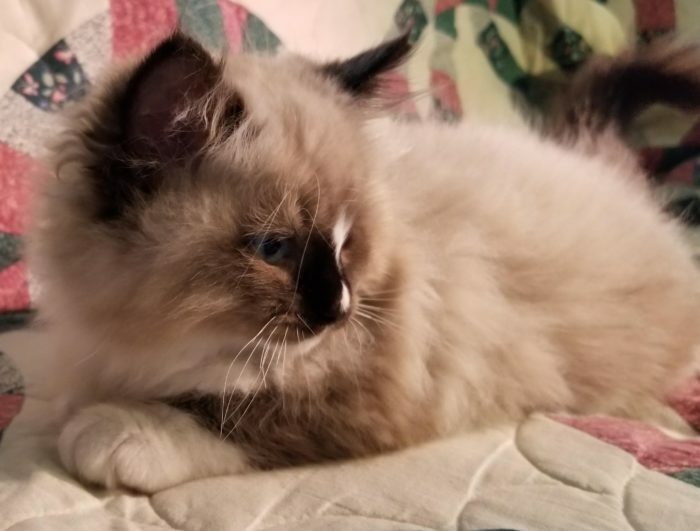 Our ragdolls are an important part of the family. 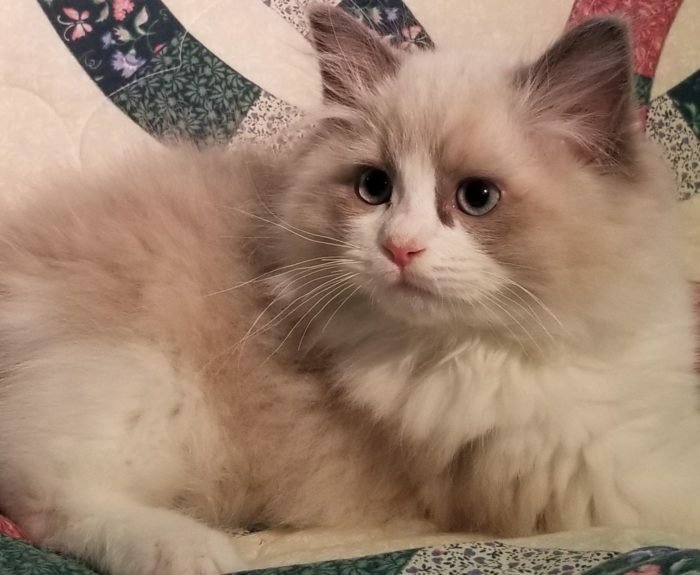 Dixie Ragdolls sell’s Beautiful, Healthy “pet” kittens to loving homes! We do ship kittens, but never use cargo as a method of delivery. We do offer shipping by Courier service for an additional fee. This is the best way for our kittens to come home to you, since they will fly in the cabin of the plane. Of course you are more then welcome to fly into Daytona Beach International Airport, and we will meet you in the lobby for pick up. All information about kittens will be released when they are ready for adoption. Kittens will be released to go home between 11-14 weeks of age or when our Veterinarian feels they are ready to leave for there new home. located near Daytona Beach Florida. 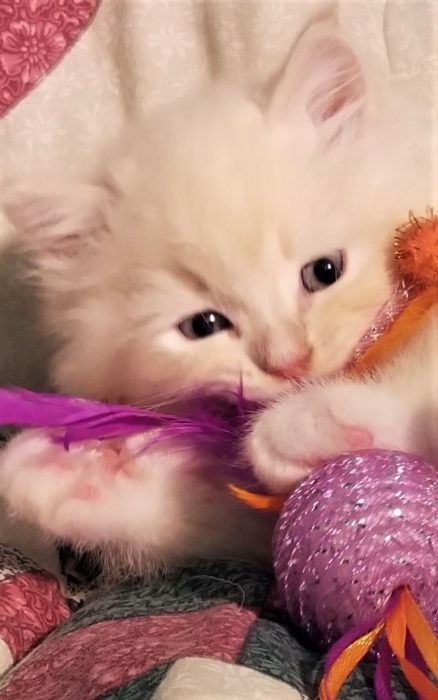 We raise beautiful blue eyed Traditionals, aqua eyed Minks, golden green eyed Sepias and Solid Ragdoll kittens with an eye color ranging from a bright gold to green. 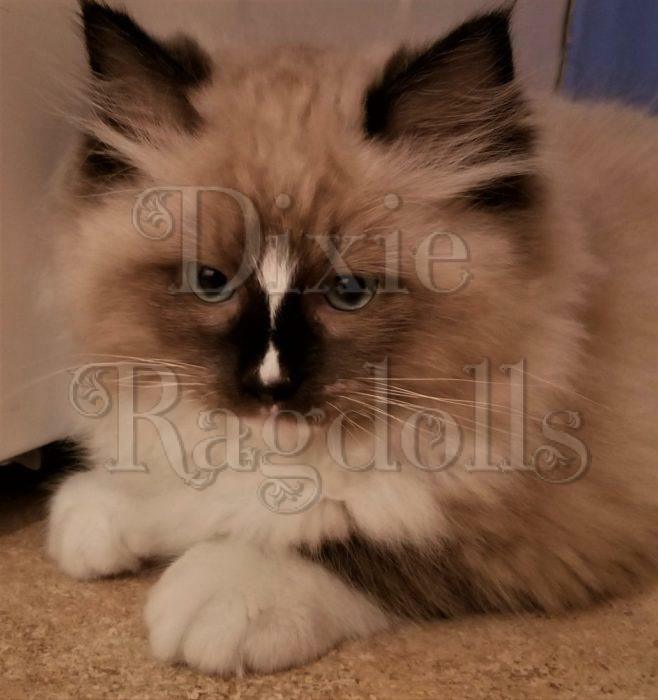 Our Ragdoll kittens are: Registered with TICA, Lovingly raised in our home, & Well socialized. Our cattery is FeLV / FIV free. For the health, safety and privacy of our family, cats and kittens, we no longer offer visits to our home. We thank you for your understanding. 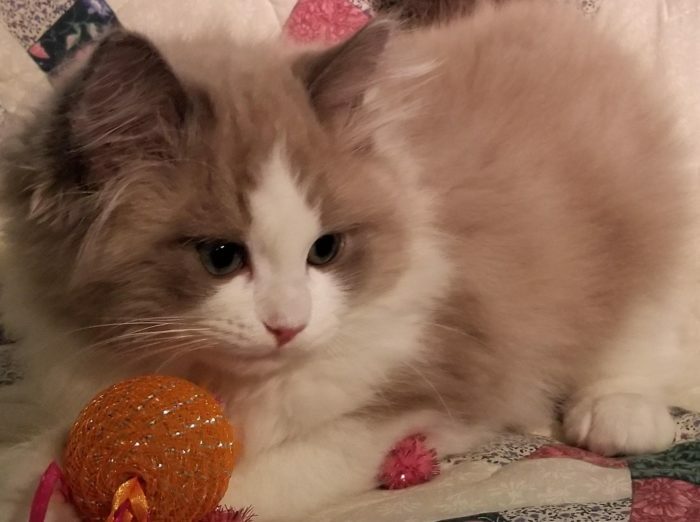 We are always happy to keep you informed of your new kitten by photos and video’s. 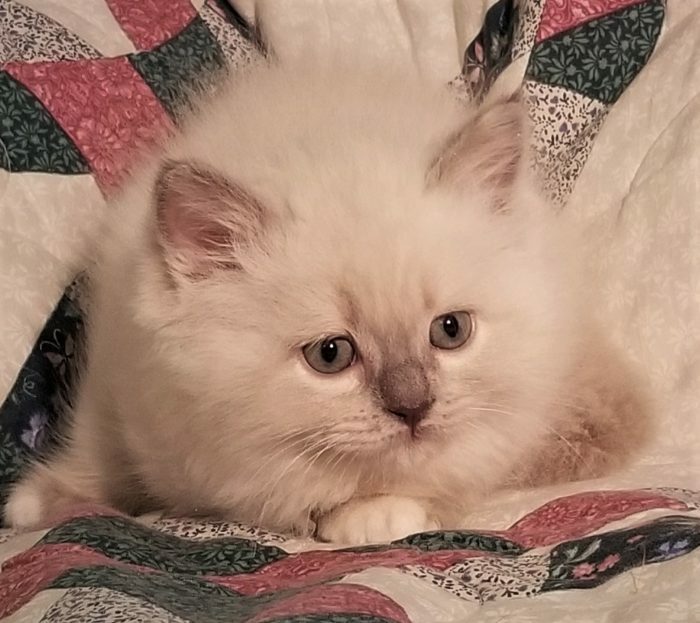 WE RESERVE THE RIGHT, at our sole discretion and without penalty, to refuse to place a kitten in a home at any time, if we feel it’s not in it’s best interest of our kittens. If a deposit had been received, it would then be promptly refunded. 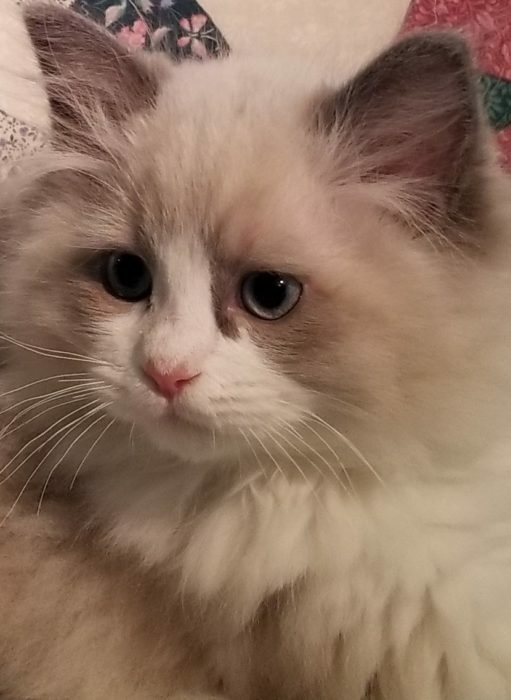 Note: All photo’s are of my own Ragdolls Cats and Kittens. Website, all content, photos, Copyright © 2019. Professional photos copyright © to their respective photographers.